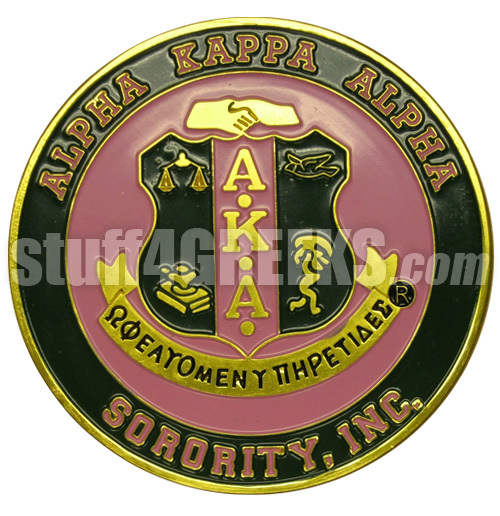 Round Alpha Kappa Alpha Car Emblem with Crest. Q: Is this self sticking? A: Yes, the Car Emblems are self sticking, they do have an adhesive on the back.